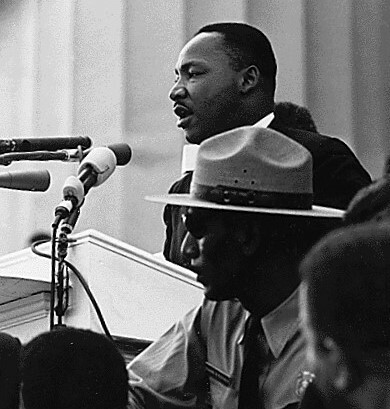 How will you celebrate Dr. King in your classroom? Katie Heath is Northeast Regional Chapter Coordinator at Kappa Delta Pi. As an educator, I feel particularly drawn to reflect upon, celebrate and commemorate the life of Dr. Martin Luther King Jr., arguably the most influential leader of his time. As educators WE are leaders. We see the importance of social equality and feel led to inspire those around us. We work to improve the lives of our students, their parents and those in our community. Although I am sure some of Jan. 20 will be spent creating lesson plans, catching up on that endless stack of papers to be graded or (hopefully) finding time to unwind and relax, I challenge you to take time to reflect on one of our nation’s greatest heroes and the pivotal impact he made on our society. It’s hard to think of an individual who has single-handedly had a greater impact on our nation (and across the globe) than Martin Luther King Jr. This incredible man dedicated his life to advocating for social justice, equality for all, and to making advancements in the efforts to eliminate poverty. Largely due to Dr. King’s leadership, Congress passed several pieces of legislation making it illegal to discriminate against minorities. His compelling speeches, nonviolent protest and ability to lead by example have inspired and empowered younger generations. His impact is truly beyond any scope or measurement. While teaching in a classroom setting, celebrating holidays and educating students about influential people in our history were always two aspects of my job that I enjoyed most. I encourage you to celebrate the life and legacy of this incredible hero. Incorporate the importance of MLK Jr. into your lesson plans, discussions and those unexpected “teachable moments.” Encourage your students to challenge themselves, grow in all dimensions and to dream!